May’s Chef of the Month, Chef Brian Rutherford was born in Doylestown, Bucks County, Pennsylvania. 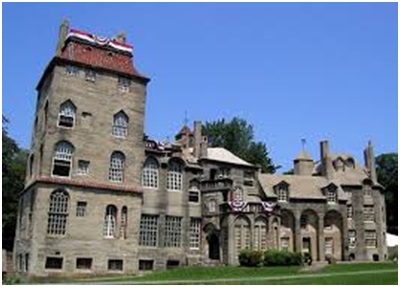 It is close to Philadelphia, just an hour away and 1½ hours from New York. This town has a vibrant cultural history with a thriving arts community. Pennsylvania is the only original colony not bordered by the Atlantic Ocean. Bob Hoffman of York is hailed the world round as the Father of Weightlifting. Hoffman started York Barbell Corp. in 1932 and preached the gospel of physical fitness throughout his life as an U.S. Olympic coach, businessman and philanthropist. In Hazleton, there is a law on the books that prohibits a person from sipping a carbonated drink while lecturing students in a school auditorium. Penn Township, officially referred to as the Township of Penn, was named after the founder of Pennsylvania, William Penn. 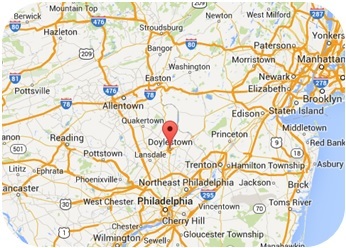 Who else is from Doylestown? Have anything else to add? Leave a comment below! We’d love to hear from you!